Nagios XI - NRPE: Unable to read output ~ Your Own Linux..! 1. Ensure that the command you are using, df.sh in this case, is declared in /usr/local/nagios/etc/nrpe.cfg file. 2. 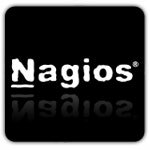 Ensure that the user nagios can run command, as per configurations done in /etc/sudoers file. If not, please add below line. 3. Also make sure that requiretty option is disabled in /etc/sudoers file. If it is enabled, it prevents any user from running sudo commands from non-TTY sessions. In other words, a non-root user must be using a TTY to execute a sudo command. This option is enabled, by default, in CentOS, and can be disabled by commenting it out as shown below. Good document. Resolved the issue I was having with this error.